Although emotional and mental health are not concretely tangible, they are just as important as physical health. The bond between a psychiatrist and their patient is deeply personal and almost sacred. Psychiatrists are privy to an individual’s most intimate thoughts and experiences. They are tasked with helping their patient work through complicated emotions and history to ensure a healthy mental state. However, if a psychiatrist fails to do their job properly or takes advantage of their position, they can cause lasting harm. At Power, Rogers & Smith, L.L.P., we believe that all medical professionals have a duty to uphold their responsibilities to their patients. Negligence and incompetency are unacceptable. If you or a loved one has suffered due to psychiatric malpractice, call our Chicago legal team at (312) 313-0202. Patients have a right to competent, professional care when they seek treatment for their mental health issues. A psychiatrist takes an oath to uphold codes of ethics and act accordingly to their station. However, inattentive or unscrupulous professionals can harm their patients more than they help them. Patients who are victims of any of these behaviors may have a claim to seek financial restitution and justice. Proper legal representation can ensure that patients are justly compensated for the injustices they’ve experienced. 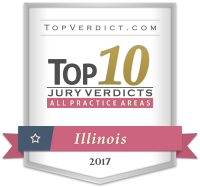 At Power, Rogers & Smith, L.L.P., our psychiatric malpractice lawyers in Chicago are nationally recognized in the field. We have experience handling complex medical malpractice cases. We have recovered a collective $4 billion in verdicts and settlements for our clients. We can help our clients understand their legal rights and build a strong case. Our clients’ needs are our top priority.